I can not even begin to tell you how excited I am that my Explorer Report Project is now listed on TpT! This has been a project in the making and I am proud of it! The best part about it, is that I used this project with my 5th grade class and the results were more than I could have ever expected. :) They turned out AMAZING!!!! I wanted to share how I did this project, and the results! First, I gave the class graphic organizers to use while doing research. They were given time in the computer lab to do their research and they loved knowing exactly what to look up. 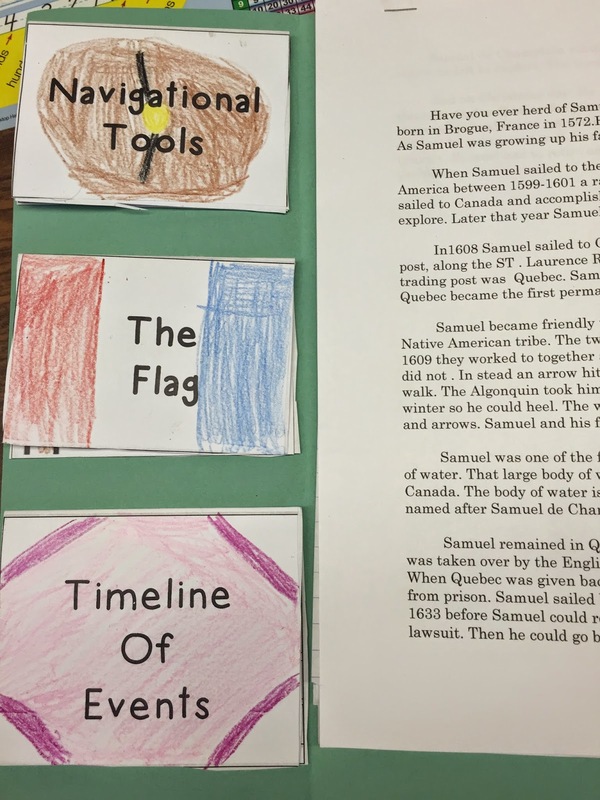 They were able to answer each question in their own words and later use that to complete the written portion of the project. I did a little evaluation at the end, and they actually thought it was better than doing it at home with the help of parents. They felt independent. Wahoo!!! I then ordered paper (22 x 28in) from School Specialty. I cut each piece in half and traced a blank explorer onto each piece. I gave each child one and asked them to take them home and using fabric, hair, hats, etc., to create a living Explorer. They got to run with this and did great!!! This was the part that their parents helped with. In class, we continued working on the report portion. Once the students completed the graphic organizers, they began working on their rough drafts. I had them do this on binder paper so that they could make changes as they went along. I also handed out the foldables! 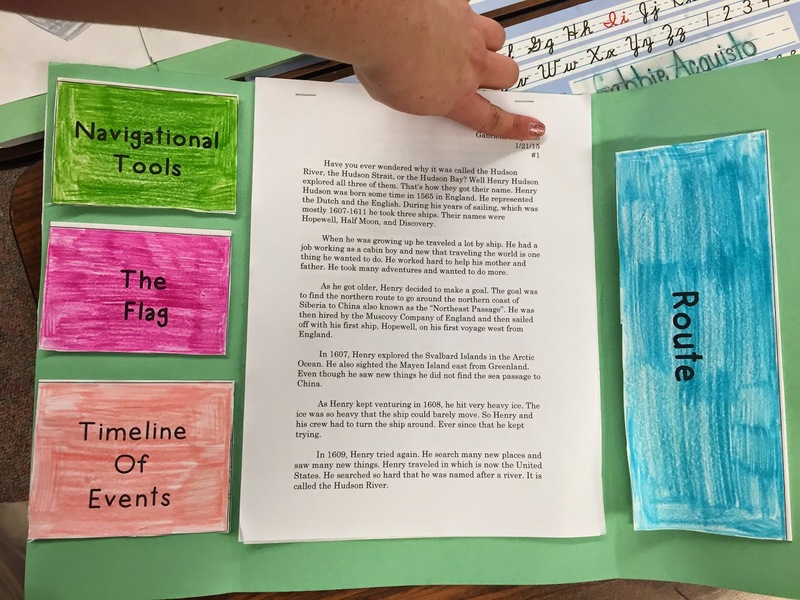 Students looked up what the flag looked like, what tools were used, important dates, and travel routes for their Explorer. They cut each half out and glued them back to back and folded. Once they were done, I gave each child a piece of construction paper and created a book/folder. They glued these onto the sides. Once their written portion was typed, I stapled it into the middle of the folder. Finally, the cover. I have students draw their Explorer. I wasn't sure how they would come out, but they turned out to be exactly what I was hoping. It gave the project that personal touch which I loved!!! 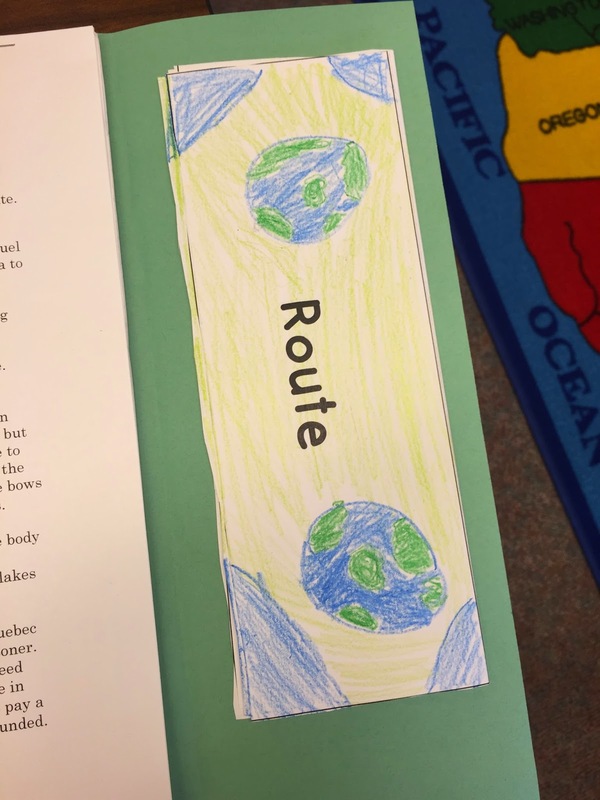 I think my favorite part of this project is that it is the work on the children in my class. The parents helped with the building of the Explorer, but everything else was them. It has their personality, their personal touch, their voice!!! Here is a glimpse at the final product!!! What a FUN, cool project!!! This is one that students will remember! These turned out great, Brianne! I love the autonomy the students were given!